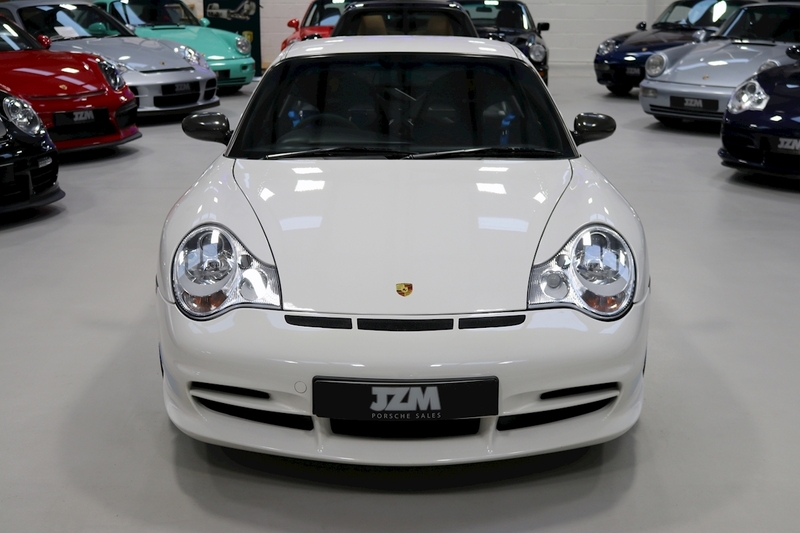 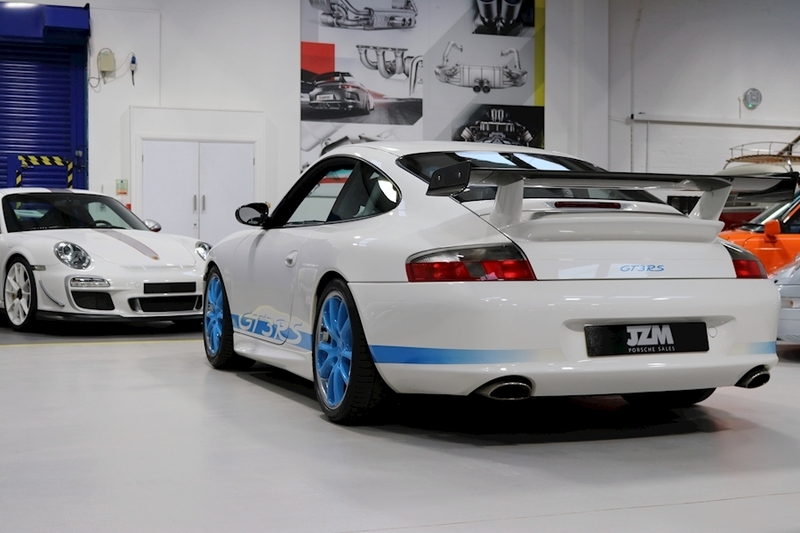 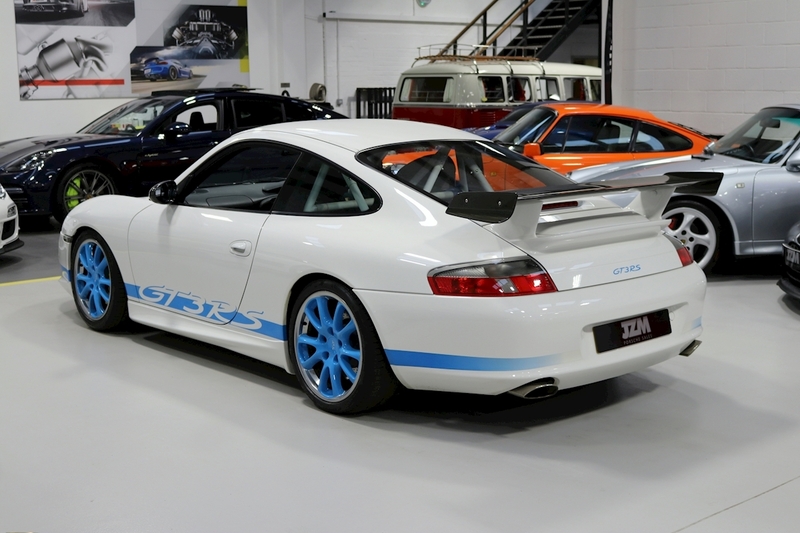 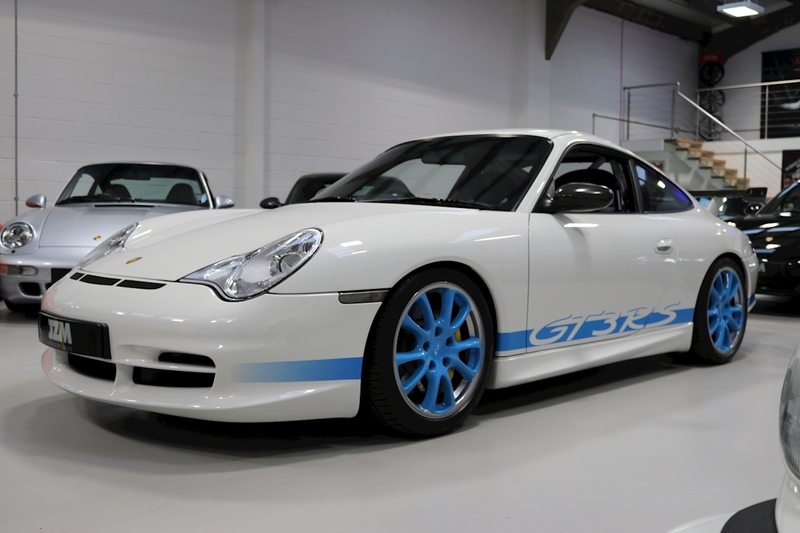 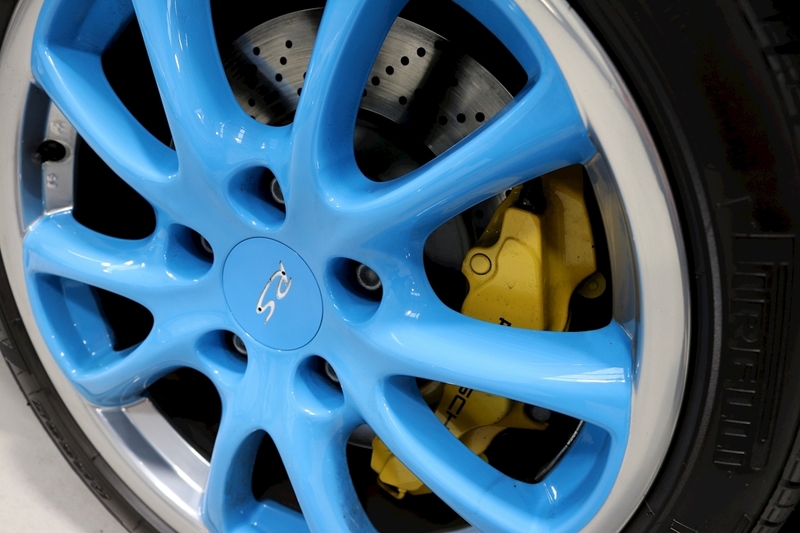 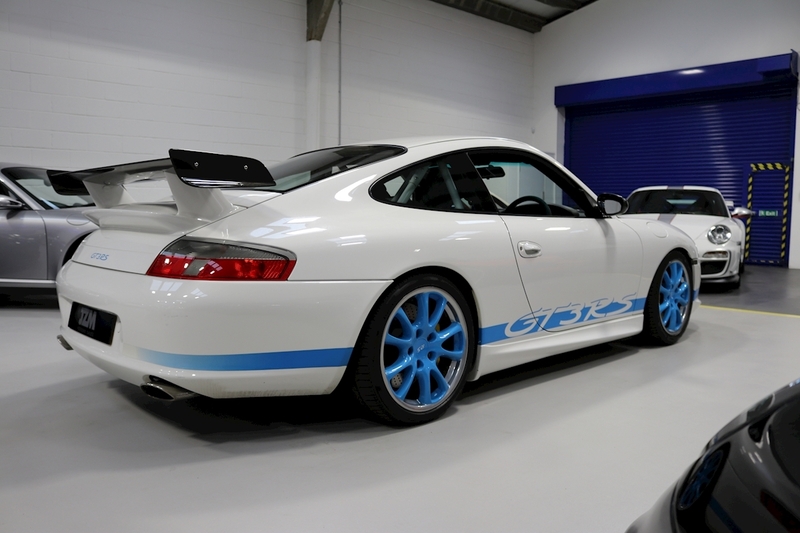 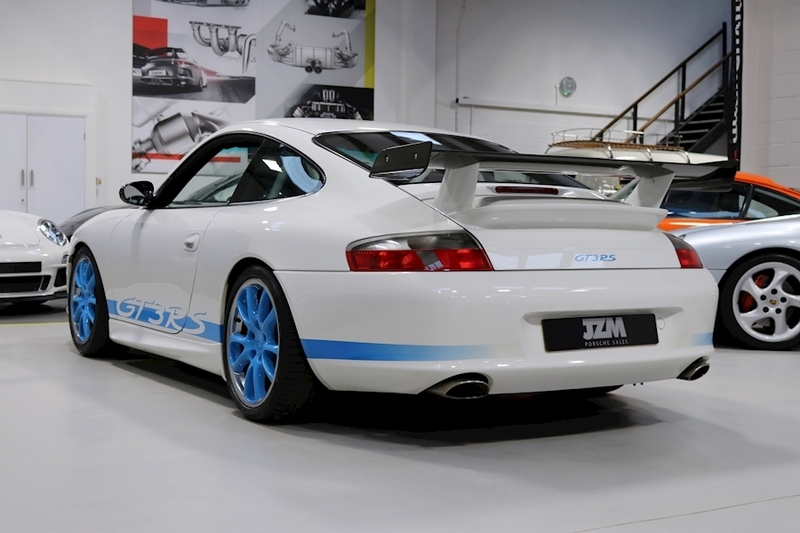 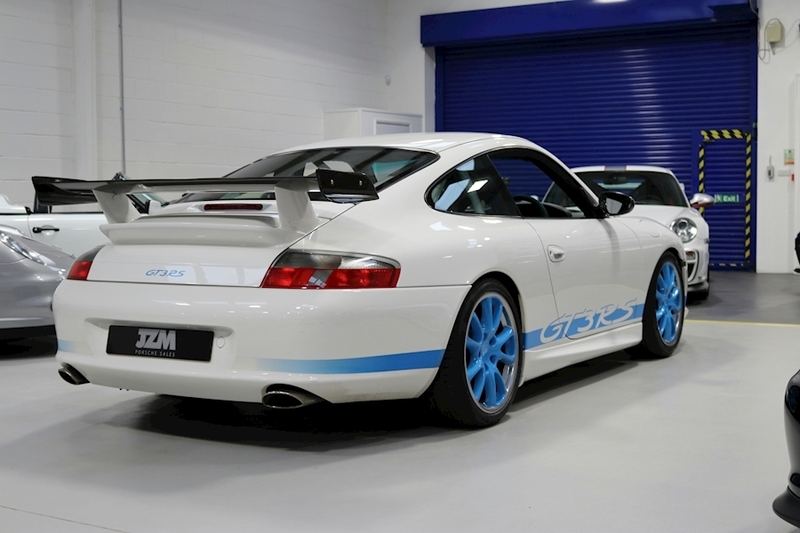 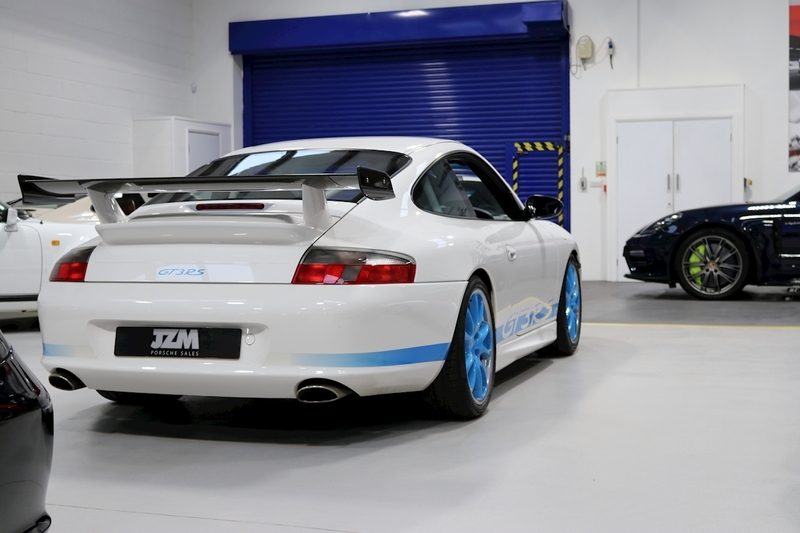 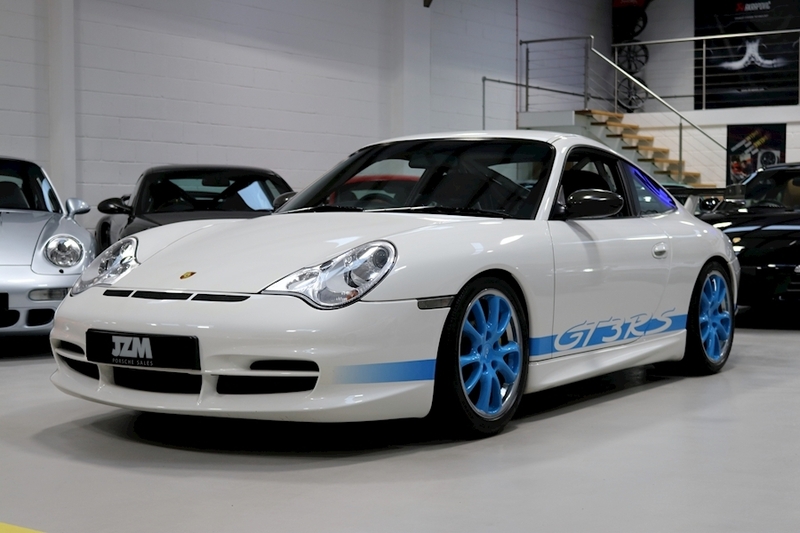 This 996 GT3 RS is no stranger to the team at JZM as we have previously sold this vehicle before and we are delighted to have secured the car again for showroom stock. 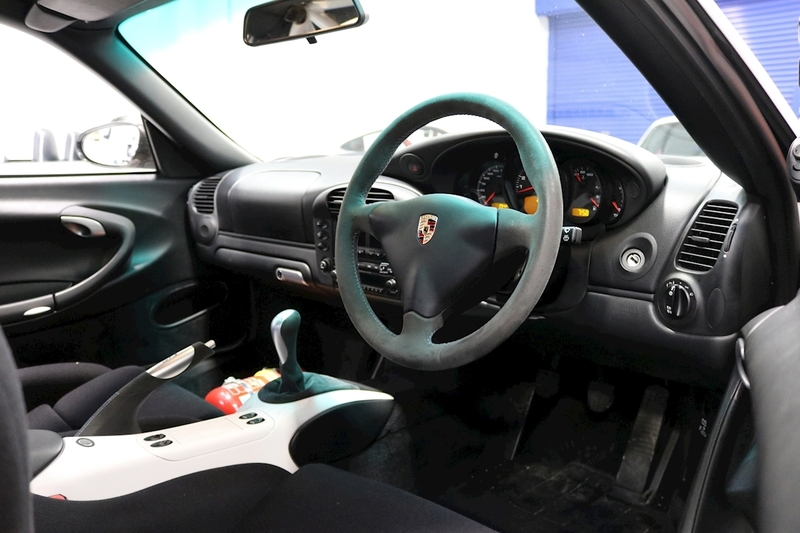 The vehicle is presented in superb original condition all original panels and is supplied with a wonderful file that includes a generous amount of Porsche service invoices and past MOT's from new. 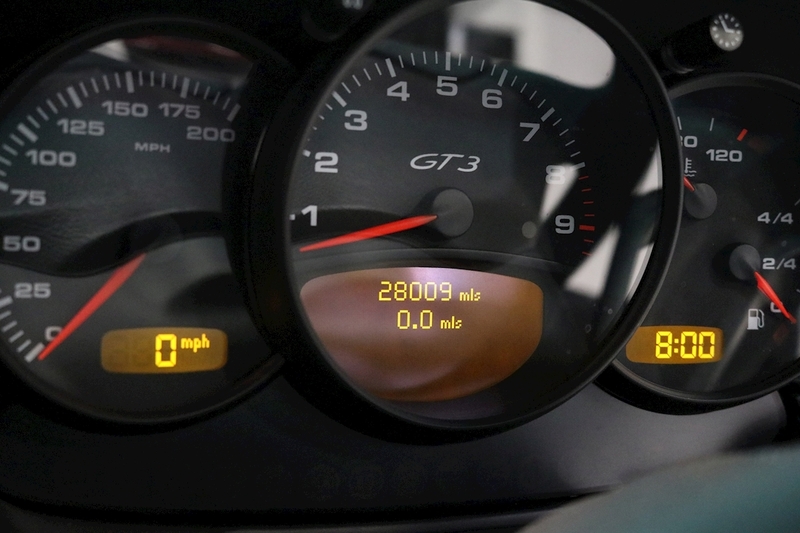 Early viewing would be highly recommended as we have a sneaking suspicion it won't be about for too long. 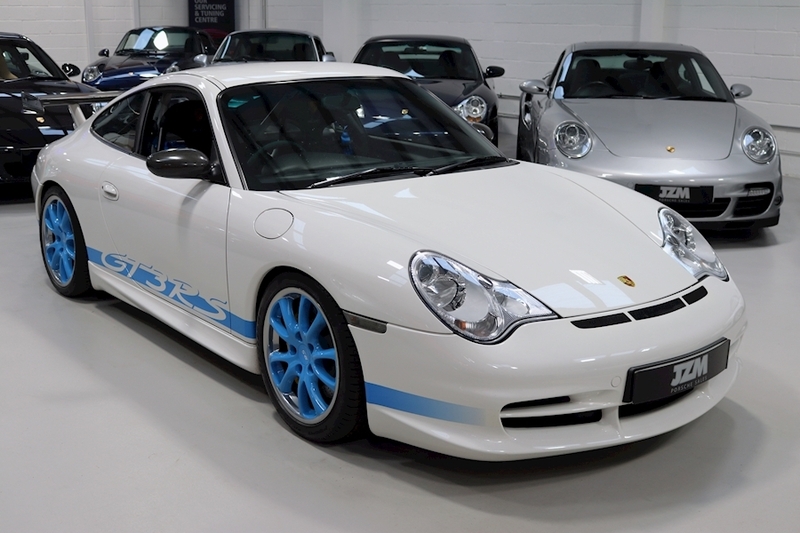 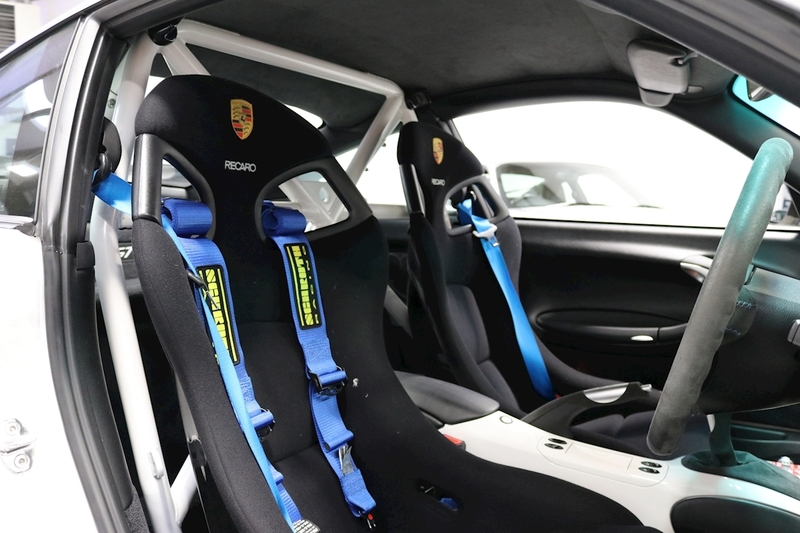 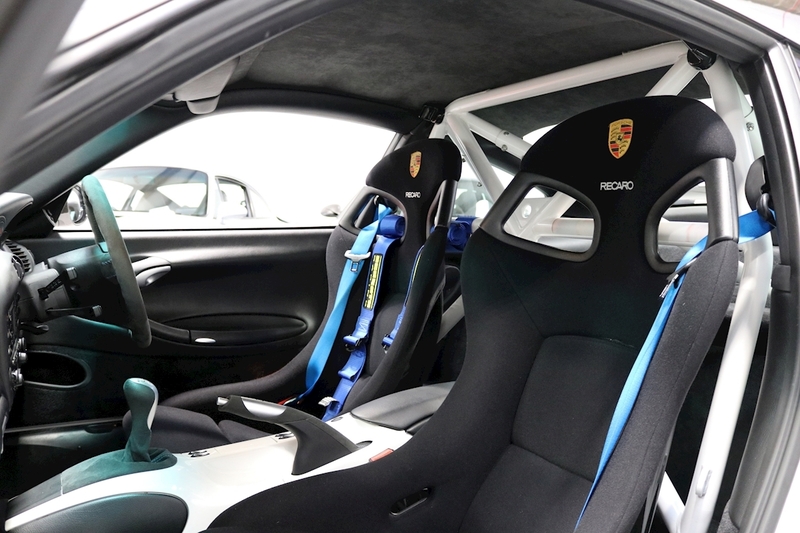 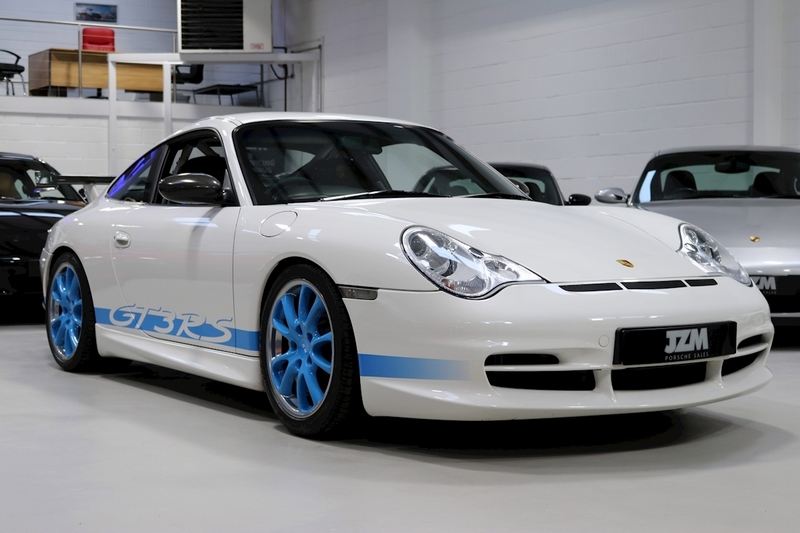 Originally Supplied By Official Porsche Centre for Kent First Registered During May 2004 (04/53) Full Official Porsche Service History Carrara White with Blue Decals Black Nomex RS Trim Carrara White Safety Cage Rear Section Of Centre Console Painted Carrara White 6 Speed Manual Transmission PCCB (Now Running Alcon Discs all Round) Seat Belts In Riviera Blue Driver Harness 18” GT3 Alloy Wheels Air Conditioning Xenon Lighting System On Board Computer Top Tinted Windscreen.